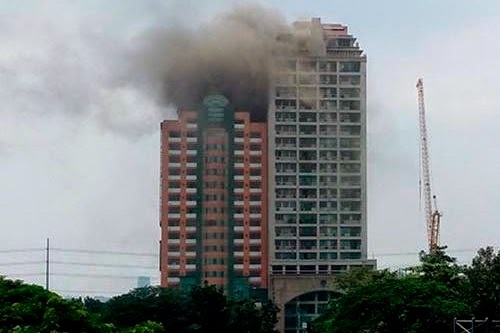 Photos and Updates: Fire in Prince David Condo in Katipunan, infront of Ateneo - Balita Boss! A fire broke out at Prince David Condominium along Katipunan Avenue in Quezon City in front of Ateneo on Friday noon, October 10, 2014. Firefighters are now clearing Prince David Condominium. Fire broke out in the basement and smoke filled the building at around 12:30 PM.